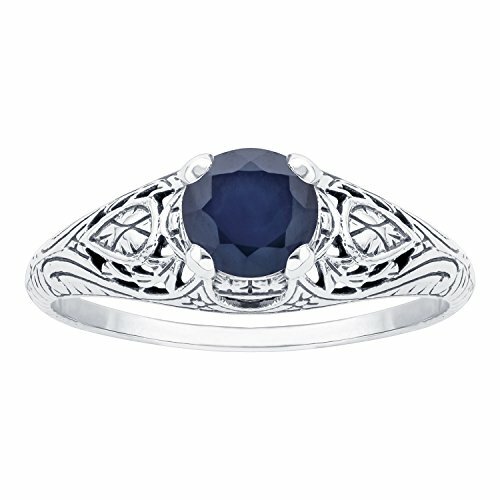 Enhance any wardrobe with this vintage inspired Sapphire ring. This uniquely designed ring showcases genuine natural 6mm round-shaped Sapphire. The ring features hand engraving and scroll-work to create a truly vintage inspired design. Crafted of 10k white gold, this piece is a wonderful addition to your jewelry collection.